Be the first to share your favorite memory, photo or story of Guadalupe. This memorial page is dedicated for family, friends and future generations to celebrate the life of their loved one. Guadalupe Lizardi was born in Queretarro, Mexico on March 27, 1945 to parents Margarito Lizardi and Maria Perez. She worked in agriculture in processing for almost 20 years. Guadalupe enjoyed cooking, gardening, knitting, and singing but most of all she loved spending time with her granddaughters. Guadalupe was a loving mother and grandmother who loved her family with all her heart. 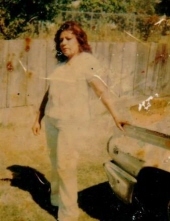 Guadalupe was 73 years old when she entered eternal life on March 15, 2019 at home surrounded by her loving family. Guadalupe is survived by her daughter, Margarita Altamirano and husband Avi Altamirano; son, Sergio Mendez; grandchildren, Jasmin Altamirano and Brianna Altamirano brothers, Salvador, Jose, and Santos; and sister, Carmen, Maria, and Catalina. She is preceded in death by her son, Santiago Basulto Mendez; sister, Elena; and parents, Margarito and Maria Lizardi. A Funeral Service will be officiated by Pastor Raul Verduzco on Monday, March 25, 2019 from 5-9 pm at Peters Funeral Home – Arvin. A Graveside Service will be held on Tuesday, March 26, 2019 at South Kern Cemetery District. To send flowers or a remembrance gift to the family of Guadalupe Lizardi, please visit our Tribute Store. "Email Address" would like to share the life celebration of Guadalupe Lizardi. Click on the "link" to go to share a favorite memory or leave a condolence message for the family.